Today I didn’t think about creating anything until this evening. I was thinking of going through some of my unpublished work, but I wanted to really post something, anything that was shot today. 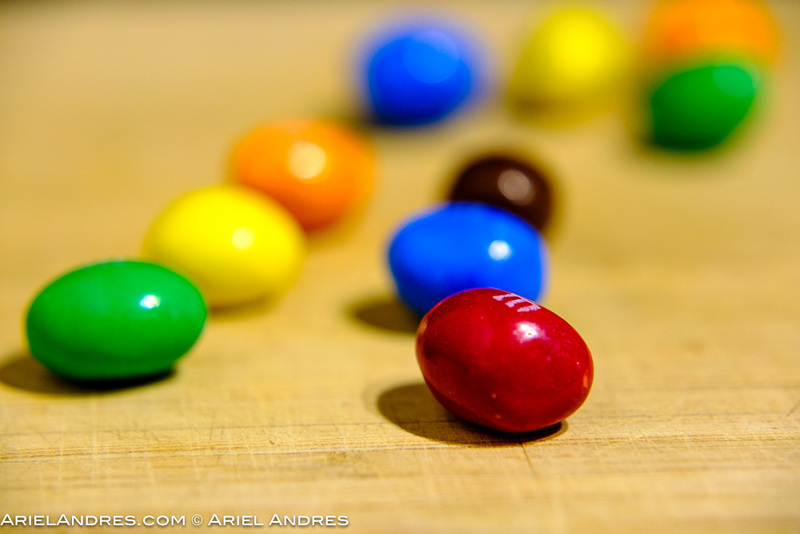 The result is a photo of M&Ms. The saturation is courtesy of the Fuji’s Velvia film simulation and a boost to vibrance and saturation in Lightroom.